Unit 7 Netherton Business Park, Halesowen Rd, Netherton, Dudley, DY2 9NT. Welcome to the One 4 You Services Website. 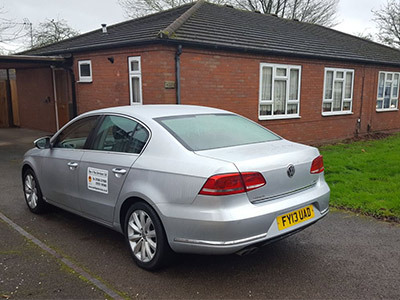 One 4 you services is your local user friendly taxi service for Dudley and connected Borough’s. We offer competitive Taxi prices for all your needs. We’re more than a regular taxi service, Our services extend to providing transport solutions for school children and elderly or people with special needs. We are officially authorised by many local authorities. We currently operate in Dudley, Birmingham, Wolverhampton, West Bromwich, Sandwell, Stourbridge and Halesowen. We love to listen and we are eagerly waiting to talk to you regarding your requirements. Get in touch with us if you have any queries and we will get back to you as soon as possible. One 4 You Services is a registered private limited company which was established in 2005. We are a professional local Company which specialises in Council contracts. The managing directors in this company are; Abrar Ahmed and Asjad Jameel. We have gained many years of experience in transporting the young, elderly and disabled. 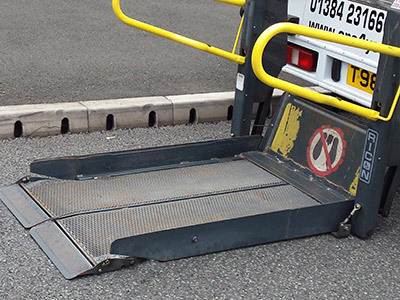 We have a broad range of vehicles including Private Hire, European specification Hackney’s, Tail lift vehicles (for large wheelchair users) and PSV’s (public service vehicles) to suit our customer’s needs. These vehicles come with 4 to 14 seats. Are you planning a holiday abroad and need airport transfer, we have large vehicles to carry groups and luggage all at competitive prices. With over 13 years of providing quality service to our valued customers , we provide a one stop shop for a” true customer service transport solution”. By adding this dimension to an already dynamic and customer centric asset based provider, we feel we bring a total solution. Our values are built strongly on honesty and dependability. We have always been there for our customers, we are very approachable and made up of a team of people that you can rely upon. Quality is a core element to our business. We deliver all of our services with the highest quality and attention putting our customers first at all times. with ongoing training, development and embracing new techniques we are always improving our skills and delivery. We have always received good service from One4you services. Timing and quality have always met our expectations and everything is communicated in a professional and timely manner. 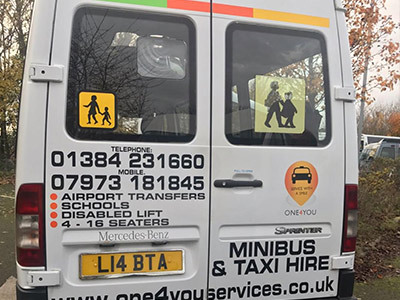 One4you services is you’re local user friendly taxi service for Dudley and connected Boroughs. We offer competitive Taxi prices for all your needs. Made with by Colour Pixel. © Copyrights 2018 One4you Services All rights reserved.